When you have suffered an injury caused by another party, you need an attorney to strongly advocate on your behalf to the other party’s insurance carrier and legal counsel. Insurance companies begin their investigation immediately after the accident and often attempt to take your statement before you have the opportunity to hire an attorney. Accordingly, it is very important to find legal representation as soon after the accident as possible to protect your rights. The attorneys at Bloch & Chapleau have a wide array of experience litigating personal injury matters, including, but not limited, automobile accidents, motorcycle accidents, trucking accidents, medical and dental malpractice, nursing home negligence, ski injuries, recreational injuries, wrongful death, dog attacks, slip and falls, and products liability cases. Residents and visitors to Colorado enjoy active lifestyles and injuries often arise in the participation of recreational activities available throughout the state. Bloch & Chapleau also litigates personal injury cases arising out of recreational activities, such as ski, snowmobile, horseback riding, ATV, and rafting accidents. 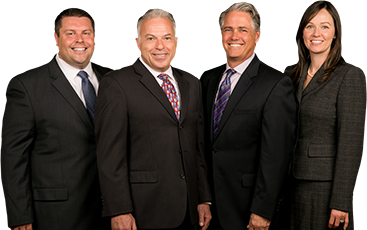 Bloch & Chapleau attorneys handle each personal injury claim assertively and efficiently to ensure that the client’s goals and expectations are met. The filing of a lawsuit is not always necessary, but hiring an attorney early in the process is critical as it strengthens your position and significantly increases the likelihood of a successful outcome.